I went to the Glenn Beck rally and all I got was my honor restored. So I went. It was both more interesting and more boring than I expected. And, yeah, it was a little about honor, and a lot about Glenn. Just in case Glenn sneezes. There was a “no signs” rule to which the Libertarian crowd rigidly adhered – kind of surprising in a group that considers themselves rugged individualists – but that meant that sloganed T-shirts were big. Or, in a pinch, a lot of people wore bumper stickers. By far the most popular bumper-sticker-as-clothing was one that said “I can see November from my house.” Yes, it’s weird because it’s like they lost track of the part where that’s a Tina Fey quote that’s making fun of Sarah Palin. And the part where Palin’s fans were FURIOUS that people mistook it for an actual quote and spread it around as such. I guess you could call it being saucy, but mostly I think it’s an ongoing refusal to form a coherent worldview. 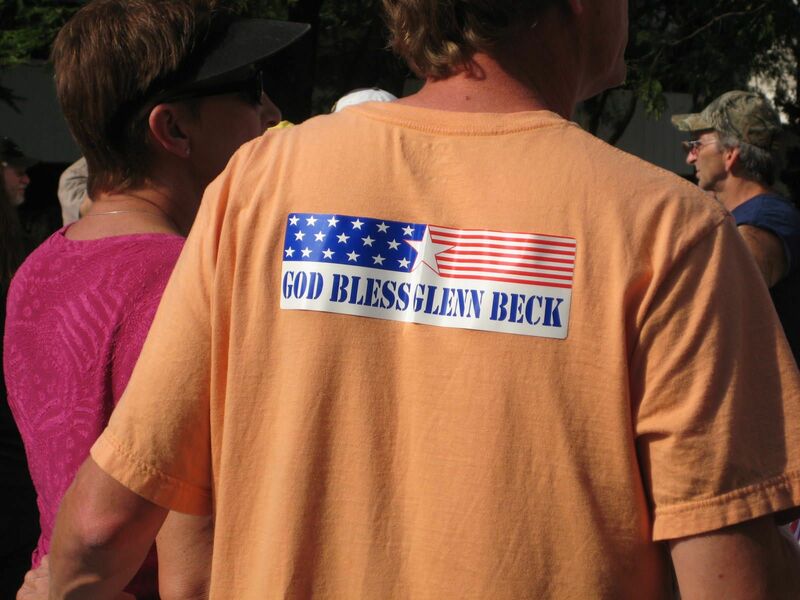 On the other hand, some parts of the Beck crowd’s world blend together all too well. Beck and the organizers emphasized that this was a spiritual event and not a political one, but that’s a completely disingenuous distinction that’s made for outsiders. 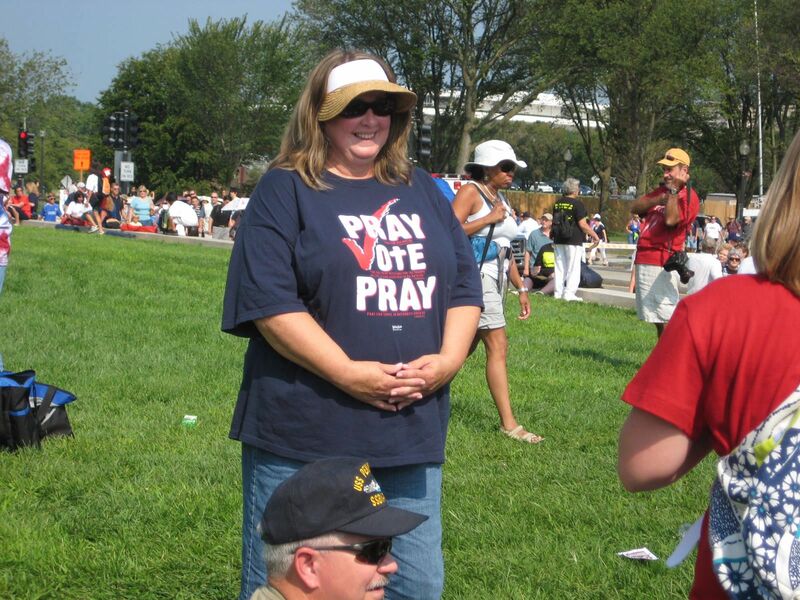 One of the Tea Party crowd’s main ideas is that there should not be a line between religion and politics. Or between religion and policy. Interesting that they cut the word "love," isn't it? There was an interesting yearning in the crowd. I don’t think hitting the anniversary of the King speech was an accident. These are people who want to have been on the right side of history – even more so, to be seen as the ones who have suffered and survived trials and then been judged to be right. And righteous. They also would like to have been the cool ones who got to go to Woodstock – just not in a hippie-liberal-in-the-mud sort of way. 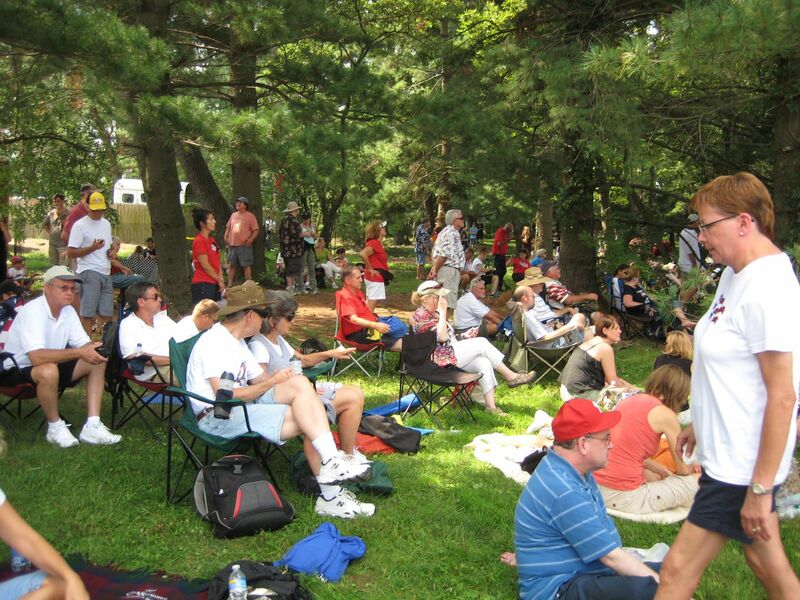 One comparison that nobody seems to mention is how much Tea Party gatherings have in common with the Renaissance Faire. 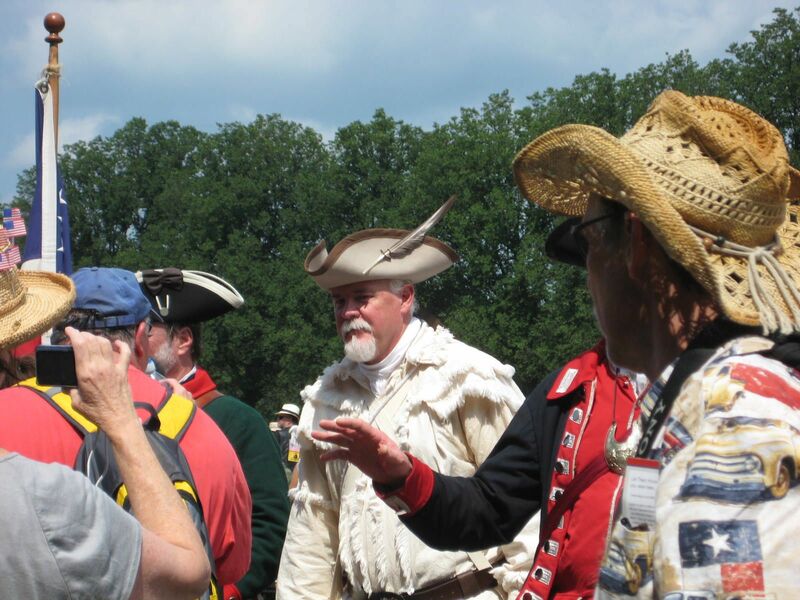 Seriously, fellas – if you want to get some mad crazy conservative groupie squee, just show up in your finest colonial gear. I tried to get a better picture, but this guy and his buddies were constantly surrounded by admirers. Constantly. It was like seeing Colonial rockstars go past. Or I guess pro shovelboard players or something. I can’t just make fun. Several people at the rally took the time to talk to me in a thoughtful and respectful way. But I need some more time to process that before I write about it. More to come. « With one week to go, I finally get it. I like your photo captions… and the lesbian/conservative mom haircut comparison is hilarious! Well, you’re braver than me, even stepping foot into this rally (I avoid my conservative relatives like the plague). Looking forward to your next writeup – see you on Twitter!